"This was our fourth [Fastnet] race," said George David upon his arrival in Plymouth Yacht Haven. "We have had two that were fairly windy and one with no wind, two years ago, and this one with decent wind but a tough windward-leeward course. 360 miles upwind is a challenge and it is cold, but it is okay. We sailed well and we did a good race. We’ll see what happens." For a lengthy period this morning Rambler 88 appeared set to achieve ’the double’ ie win both line honours and overall on handicap. However she has since been displaced from the top spot overall under IRC by the 115ft giant, Nikata and Ron O’Hanley’s Cookson 50 Privateer. "You can always hope, but you can never tell, especially when you have boats out there for three or four more days and the weather may change and tomorrow it’ll blow harder and they’ll come up behind us," observed David. In 2011, the Rolex Fastnet Race nearly claimed David’s life when the keel broke off his 100ft maxi, causing the boat to capsize shortly after rounding the Fastnet rock. David and four others were washed away from their boat and it was only thanks to a near miraculous set of circumstances that they were rescued shortly before dusk. Passing the same area this time David said they had touched base with the Irish rescue services who had saved them six years ago. 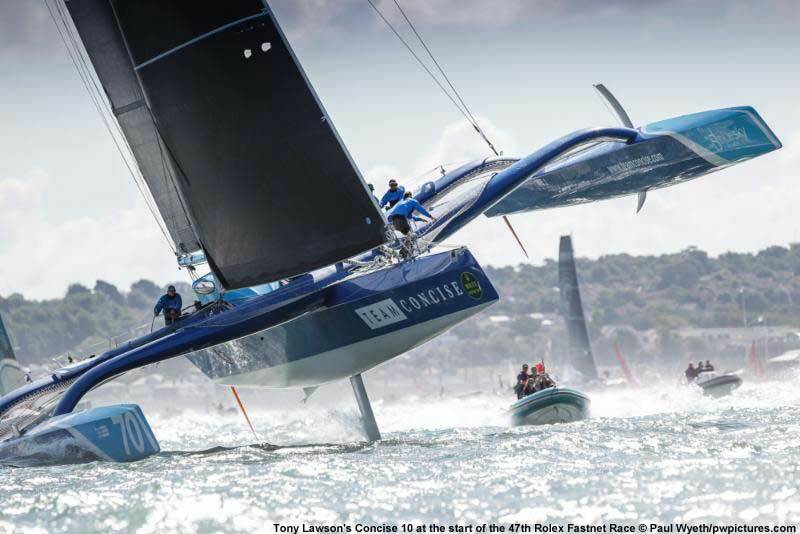 Aside from the full upwind slog from the start to the Fastnet, there had been a few occasions when the race hadn’t gone their way. As David said : "We sailed into a lull on the way up to Ireland. People behind us could see us do that and went the other way. Then coming up the Channel, we went through two squalls with low to no wind, just heavy rain and we didn’t move very fast in those." However the park-ups were no way as severe as they had been in 2015. 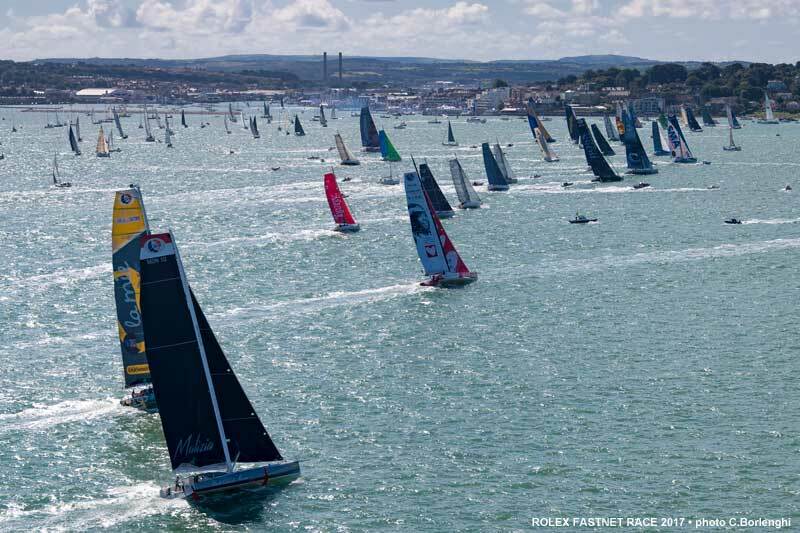 For David the Rolex Fastnet Race remains a favourite. "We have done four since 2007, and that qualifies it as a favourite race [of ours] but next time would you please make it warmer !" As usual Rambler 88 was bristling with America’s Cup and Volvo Ocean Race winners, including many former Team New Zealand and Alinghi crew. A new recruit this time was former Emirates Team New Zealand helmsman Dean Barker, who sailed as watch leader. Although best known for his inshore racing, this is Barker’s third Rolex Fastnet Race having previously competed on a Mumm 36 and aboard Hasso Plattner’s maxi Morning Glory in 2001. Barker said that their hopes of securing ’the double’ were quashed on the run back from the Scillies. "We felt it slipped away there. We hit a couple of rain squalls and the breeze completely shut down and we got parked up with lightning and all sorts. You know that the others are gobbling up that time." However he enjoyed racing on the powerful maxi. "It maintains really high speed and is really nice to sail. It definitely loads up and you can achieve some high average speeds. Downwind as long as there is some breeze it goes well, because you sail pressed up all the time. As soon as you get down to 8-9 knots it does suffer. And there’s a great bunch of guys on board." Rambler 88’s navigator Andrew Cape felt this had been a ’classic’ Fastnet Race with the largely westerly conditions. 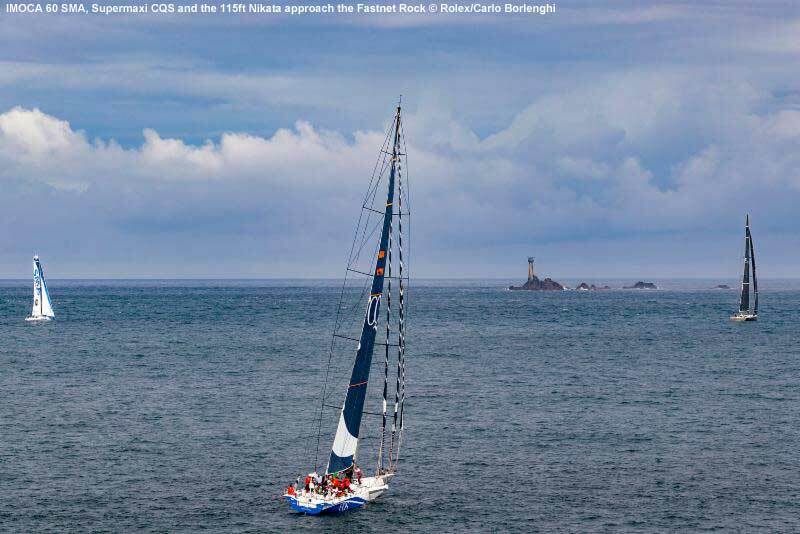 Aside from the hurdles mentioned they also lost out to the boats behind which benefitted from a major right shift allowing them to lay the Fastnet Rock as they crossed the Celtic Sea. "The shift wasn’t there for us. We lost about 12 miles there."